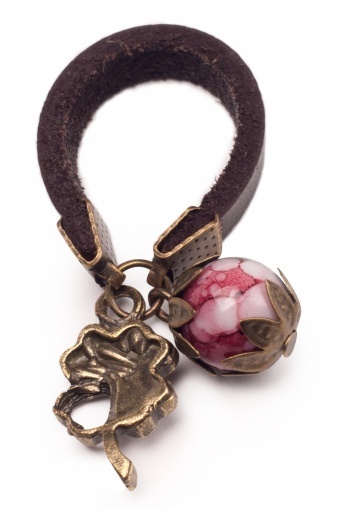 Boho Chique Leather Charms ring. One-of-a-kind sweet little ring. 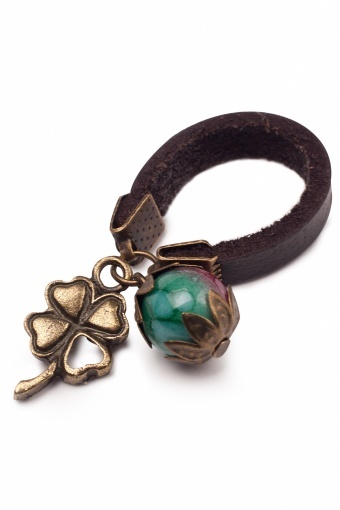 A real eyecatcher this leather ring with two charms; one four-leave-clover and a bead in green and pink colours.